‘Cohiba’ is derived from the Taíno word for tobacco. Produced in Cuba, this unique cigar brand is made from specialised tobacco grown in the Vuelta Abajo region, which has undergone extensive extra fermentation processes. The exact location of the Cohiba tobacco fields is a classified secret, and only a few know the details of their situation. Established in 1966, Cohiba cigars started as a private production that was supplied exclusively to high-ranking Cuban government officials and to those who were members of the Cuban communist party. A few short years after its initial release, the Cobia brand had earned a cult-like status due to its popularity when being given as a diplomatic gift. The Cohiba Cuban cigars became commercially available in 1982, and are now a successful and popular global brand. Choose to buy Cohiba Esplendidos cigars from James J. Fox, a world-renowned Cohiba cigar, known for its uniquely smooth flavour, created with a distinctive and highly specialised third fermentation process in wooden barrels. Alternatively, take a look at our limited supply of Cohiba Behike cigars. The term 'Behike' originates from the person in charge of the Taíno Indian ritual, and is distinctive from other cigars within this brand due to its larger girth. This is due to the addition of a rare tobacco leaf known as 'Medio Tiempo'. Cohiba Behike cigars create a lasting impression and intense flavour, and are highly regarded as being the cigar that holds the true taste of Habanos. With varying smoking times across the entire collection of the Cohiba Cuban cigar brand, as well as a wide array of strengths and sizes, you can rest assured that you will find the perfect model from James J. Fox today. Available in packs of three ranging through to twenty-five, these cigars are perfect for either yourself, as a gift or for a special occasion. The Cohiba Siglo VI is a perfect choice for the novice cigar smoker, as it boasts an impressively long smoking time which allows you to take advantage of its rich and full-bodied earthiness, subtle grass and spice tones. The low strength of this cigar ensures for a pleasant and smooth smoking experience. For the more experienced smoker, take advantage of the Cohiba Maduro 5 Genios box. Touted for its slow burn and high strength, this cigar provides a full and sweet coffee and spice flavour profile, which makes for the perfect after-dinner complement.  Browse through James J. Fox’s extensive Cohiba Cuban cigar collection today and find the perfect make to suit your taste. James J. Fox is proud to be able to offer over 200 years of experience in the cigar industry from any one of our three famous stores in London. Drop by for a chat in our Selfridges, Harrods or St. James Street stores to discuss the type of smoking experience you are searching for. If you would like to contact us regarding our Cohiba cigar collection, or if you have any other general enquiries you wish to make, don’t hesitate to get in touch, either by telephone on 0207 930 3787, by fax or by sending an email. Alternatively, you can save time by filling out our quick and simple online contact form.